Having the right fish tank for your fish, is one thing. Having the right filter for it, though, is essential for the health of your fish, more than anything else. When you’re getting a filter, you want it to be able to take care of all the stages of filtration, as each is important for the water to be clean and clear. The mechanical filtration is related to the removal of the solid particles from the water. This type of filtration is going to make the water look clean, but it’s not enough to dissolve the harmful chemicals or wastes from the water. Your fish tank also needs the biological filtration that makes the “good” bacteria eliminate ammonia and nitrite, turning them into less harmful nitrates. As for the chemical filtration, it’s done by the activated charcoal most of the time. It absorbs dissolved organics from the water, minimizing the unpleasant odors, colors and the damaging chemicals. 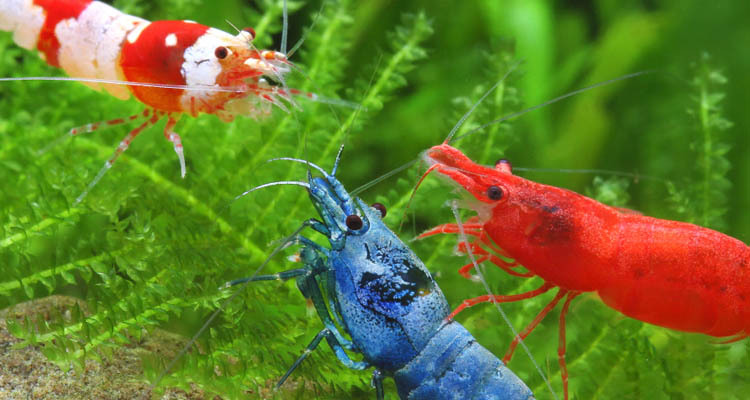 There are several types of filters and choosing the best one for your fish tank is the key of keeping your tank nice and clean. Some filters are able to do all the filtration (the power ones) and they’re quite easy to set up and to use. They’re not expensive as the canister filters which are the better choice for the larger tanks anyway. The under gravel filters are always a safe choice for the beginner and they’re quite cheap. 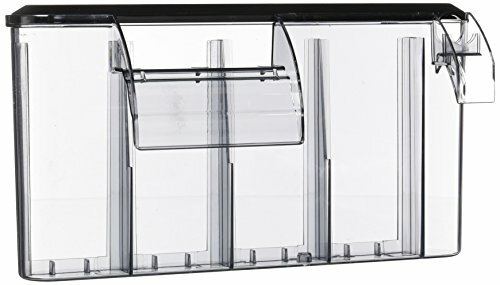 The box filters are probably the cheapest options and even though their performance in time isn’t the most impressive, they are a safe choice for the 10-gallon fish tanks. In the end, the ball’s in your court as you are the one who spends the money and time for taking care of it. 1). 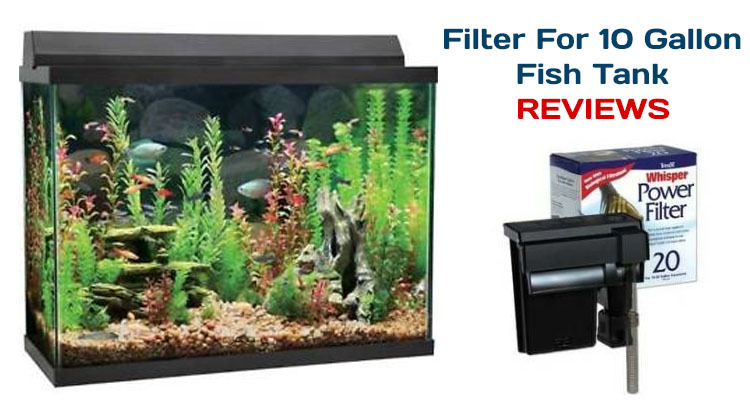 If your money is tight and you still want to keep your fish tank clean and clear, give it a go with the Corner Filter Aquarium Fish Tank Internal Air Driven Filter with Media XY-2008. Small and efficient, the filter is made for the tanks ranging from 5 to 10 gallon. 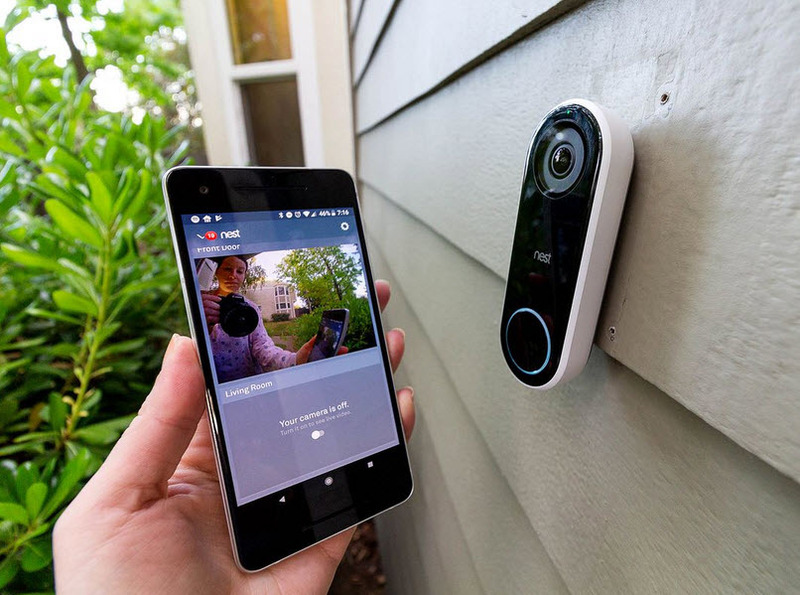 It has multi-layer media so it’s easy to move and clean. The top layer of the white filter pad ensures the mechanical filtration, whereas the black bio-sponge and the ceramic rings with gravel take care of the biochemical filtration of the tank. 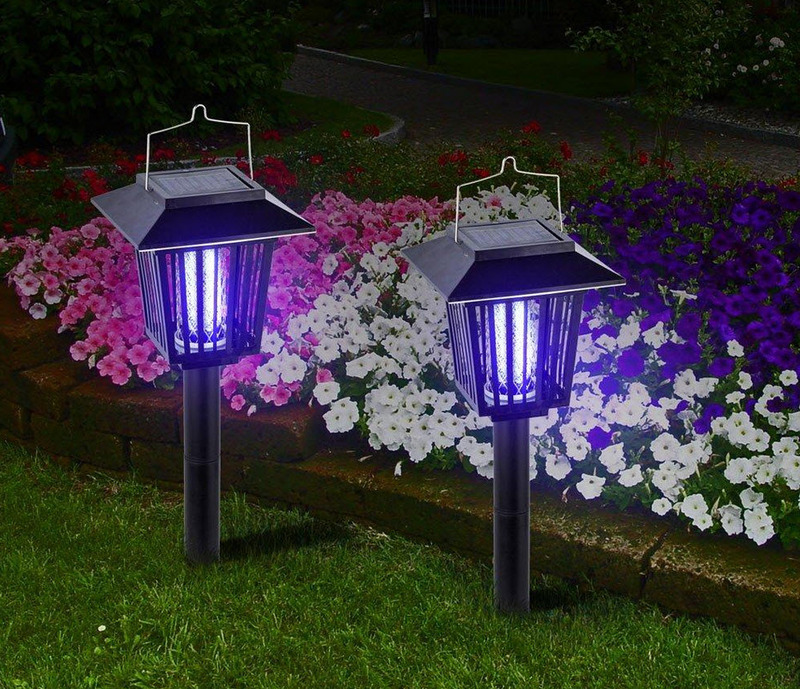 The air pump minimizes the noise and the wattage consume is quite low. The filter is easy to install and runs quiet. You need to fully submerge the filter in the water. Some recommend installing a check valve on the pump to control the risk of back flow/draining in case of power outages. When it comes to maintenance, you need to rinse the sponge whenever it’s dirty, which is every 2 to 4 weeks. It’s better to reserve the “good” bacteria by washing the sponge with some water from the fish tank and not tap water. Reliable and efficient, the filter is quite a bang for your buck. All in all, the filter cleans your fish tank and it’s easy to install, without emptying your pockets either. 2). Just because you’re going shopping on a tight budget doesn’t mean you have to come back home empty handed. 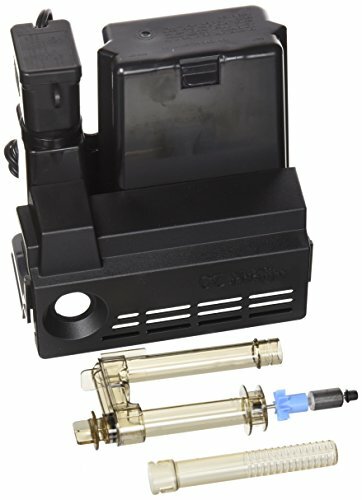 The Whisper In-Tank Filter with BioScrubber for aquariums is the perfect example of reliable filter for less than $10. 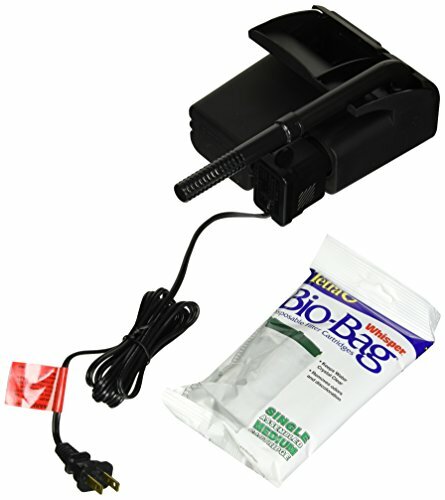 The filter is made for the aquariums up to 10 gallons and you need to use medium Bio-Bag filter cartridges for it. Versatile, you may install the filter with a hanger and a suction cup, or using two suction cups, the way it fits better your fish tank. You can mount the filter on the inside of your aquarium so that the tank flush goes against the wall. As the motor is under water, the filter runs quiet. It only needs 2 inches of water for it to work, which is why the filter is a great option for the turtle tanks too. 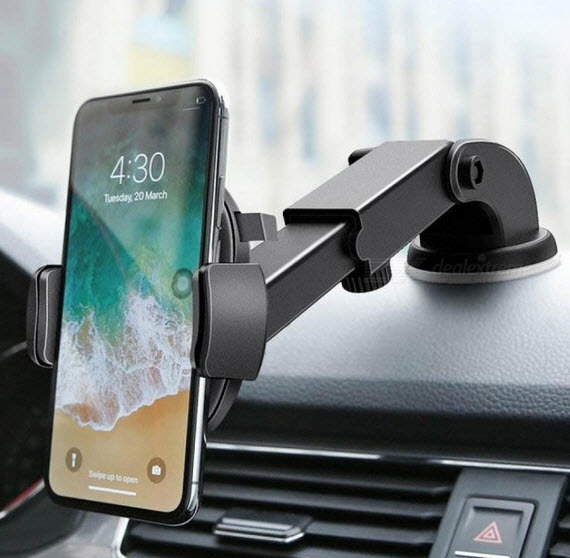 You may adjust the filter to high or low water levels, using the mounting suction cup and the bracket. The filter come with one pre-assembled Whisper Bio-Bag filter cartridge. The water flow is powerful and the filter cleans your tank nice and easy. It’s easy to access it and to change the filter cartridges when in need. Affordable and efficient, the filter shouldn’t be skipped on when shopping. Nevertheless, for the money you’re paying, the filter is a valid option that keeps the tank clean for a good amount of time. 3). If you’re looking for an internal filter that handles just fine the filtration in your 10-gallon fish tank. Give it a go with the Aqueon Quietflow Internal Power Filter. The filter is fully submersible in vertical or horizontal position and comes with many good features. The flow rate is adjustable, even though that’s not the easiest part about it. The default flow rate is pretty strong, so you may want to set it as you want. The flow rate is 57GPH and the filter needs 1 small replacement cartridge. Another good thing about the filter is that the direction and height of water return is also easy to adjust, giving you the chance to better customize the filter. The filter is a three stage filtration. The dense foam is catching particles and debris, the activated carbon takes care of the odors, discoloration and toxins, whereas the patented BioGrid eliminates ammonia and nitrates. We really like the sleek design of the filter and its low profile so it’s not only looking good in your tank, but is also not taking much space. The suction cups are great and the filter is powerful. It runs pretty quiet and you only need to clean it once a month. However, as it’s powerful, quiet and efficient, the filter is a good choice for your 10-gallon fish tank any given day. And it looks cool too. 4). Able to clean the tank fast and easy, the AquaClear Power Filter checks not only the value boxes, but also the good price one, being an affordable option for many. The filter features Aqua Clear, Activated Carbon, Cycle Guard and Bio Max which means it takes care of the mechanical, biological and chemical filtration for your tank. The Cycle Guard Multi Stage Filtration System is dependable and works well. The “good” bacteria aren’t eliminated though, as it’s essential for removing the nitrite and the toxic ammonia. Another thing that increases the value of the filter is the Re-Filtration System that is important for the adjustable flow rate. Even though you can bring down the flow rate, 50% of the water inside the filter chamber is going to go through several processes. The pump is strong and the filter moves a good amount of water. You can definitely use it for saltwater filtration and you don’t have to worry about having difficulties cleaning it. The lid fits very well so there’s no rattle whatsoever. The filter is quiet and keeps your tank nice and clean for longer time. As long as you’re focusing on the goods, which are quite a few, the filter isn’t going to disappoint most of its customers. 5). 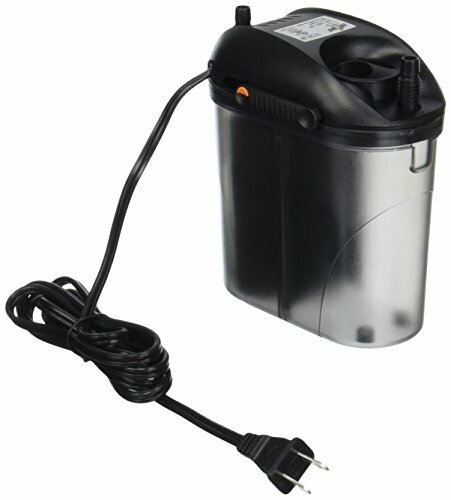 When in need for a filter for your Nano tank or an aquarium sized between 2 and 10 gallons, put your money at stake with the Zoo Med Nano 10 External Canister Filter, up to 10 Gallons. The filter has an 80-gallons per hour power and comes with spray bar system, bio ceramic media, mechanical filter sponge and carbon. Therefore, it takes care of the mechanical, biological and chemical filtration of the water. We like the filter as it also has an easy priming feature. It’s a reliable choice for the freshwater and marine aquariums and cleans efficiently the water. The filter gives better aeration through its spray bar. It comes with clear hoses that are easy to remove. The flow is easy to adjust, whereas the filter head is a breeze to open. Let’s not forget to mention the calibrated anti-vibration bushings and the suction cups that hold very well. The filter runs quiet and the filter cleans fast. The filter is compact and seems very well made. It’s easy to install and even though the pump isn’t the strongest, it still manages to keep your tank nice and clean. Well-made and reliable, the filter is a long lasting option that is worth every penny. There are many things to like about the Marina Power Filter and its overall good quality for the money you’re paying is one to begin with. Installing and taking care of the filter is a breeze and the filter is also self-priming, minimizing your efforts. The filter is ready to use out of the box, which is always a good thing. The flow is easy to adjust and the filter may not be the strongest out there but it is, nevertheless, efficient and reliable. It cleans your betta tank nice and easy and runs quiet too. The motor is submerged in the tank which pretty much explains the low noise level. The filter comes with 4 filter cartridges that are inexpensive, but not bad at all. The filter has 2 Bio-Carb and 2 Bio-Clear and every one of them comes with Ceramitek for better biological filtration. You can add your favorite media when using the filter. The flow isn’t the strongest, but it’s efficient, which counts a lot more. The spreading of water is effective and the filter works well. On top of everything else, the filter is slim and looks pretty neat on your betta tank. All things considered, the filter is a safe choice for the betta tank and does a good job for keeping it clean, with minor effort on your part. Especially designed for aquariums up to 20 gallons, the Tetra Whisper EX Silent Multi-Stage Power Filter for Aquariums is both dependable and low priced, so you’re not going to waste much giving it a go. The filter needs medium Carbon filters and it’s a safe choice for a freshwater tank. 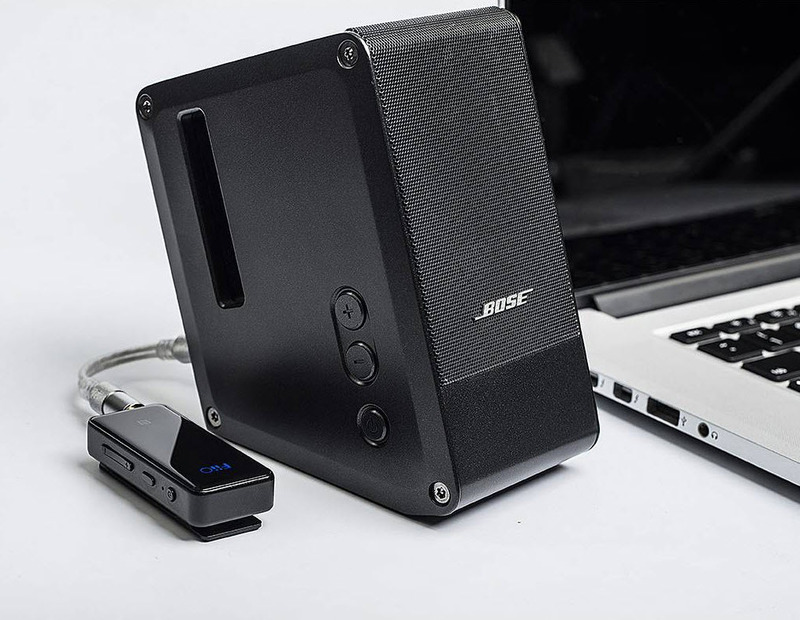 It’s ready to use out of the box and is made with Timestrip technology. Thanks to this type of technology, the filter is a great choice for the beginners and hobbyists. The new-patented carbon filter carrier is a great addition and every feature is simple and effective. The filter presents easy access door on the top that remains in place when you’re changing out the filter cartridges. 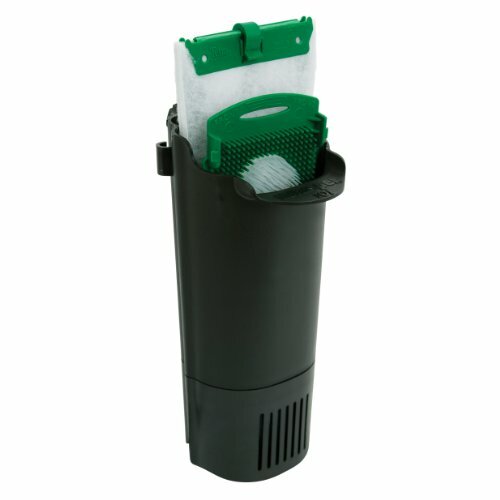 The Filter Cartridge Carrier makes cleaning less messy and easier. The motor is submerged so you don’t need to worry much about taking care of it. The filter comes with 2 carbon filter packs and 2 bacteria growth plates. It provides mechanical and biological filtration and keeps your tank clean. The filter has a good build and it’s so easy to install. Its lid stays in place and the filter is a valid choice for the buck you’re paying. Efficient for your freshwater tank and low priced, the filter keeps your tank nice and clean and everything about it simple. Don’t let the low price of the Tetra Whisper Power Filter for Aquariums fool you as the filter is quite an effective and dependable option as an aquarium filter for your 10-gallon tank. The filter is going to keep crystal clear any tank up to 20 gallons and you need to use large Whisper Bio-Bag cartridges for best performances. The design is well thought-out and the filter consists of 3 filters that makes sure the water in the tank is clean and clear for longer time. The filter comes with charcoal and sponge filters so you shouldn’t worry about the mechanical nor the biological filtration in your tank. We also like the adjustability of the filter and its ease of use and installation. The dial on top is easy to set up for the flow and you can use from almost off to full flow. Well made, the filter has a good build and a durability feel to it. The filters don’t come expensive and are easy to find too. The filter runs smooth, but it’s quite powerful doing a great job for cleaning your tank. Affordable, dependable and strong, the aquarium filter is an option to take under consideration whenever in need. 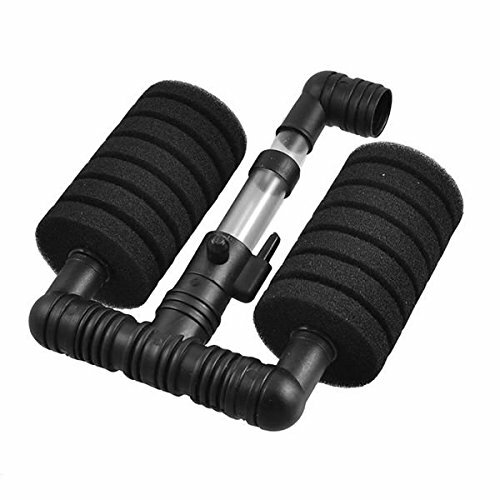 Simple, yet efficient, the XY-2831 Air Pump Sponge Filter for Aquarium is a great option to try whenever you want to try a sponge filter on your tank. The sponge filter is able to sustain both mechanical and biological filtration. As it doesn’t give chemical filtration, it’s a safe choice for the hospital tank. 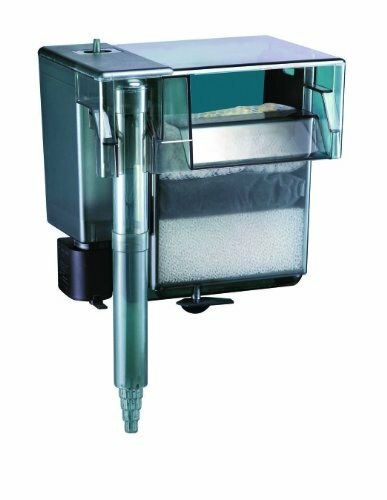 Great as it creates the best location for bacterial colonization, the sponge filter doesn’t trap fish fry. It’s a wise option when breeding and spawning Dwarf cichlids, guppies, Discus and killifish. 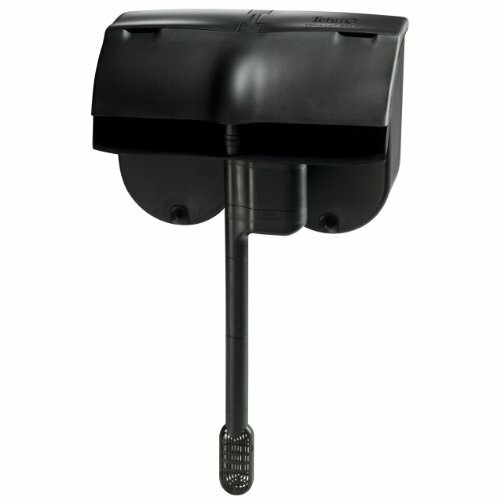 The sponger filter is very easy to install and gives aeration and filtration at the same time. The aerobic bacteria colonize the sponge, offering a bacterial substance to improve the nitrogen cycle. The sponge also catches the larger waste particles, cleaning mechanically the water. You can confidently use the sponge filter as a secondary filter or as pre-filtration unit as you fit it to an external/top filter. The sponge filter has a lot of surface area so it’s efficient for beneficial bacteria to collect. 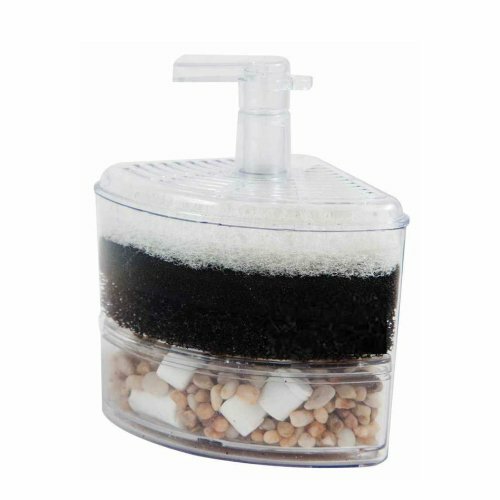 Its sections are adjustable and the sponge filter is easy to manage. Easy to hide and to place, the sponge filter is easy to take care of. However, you shouldn’t never clean it with tap water as several squishing is going to be enough. 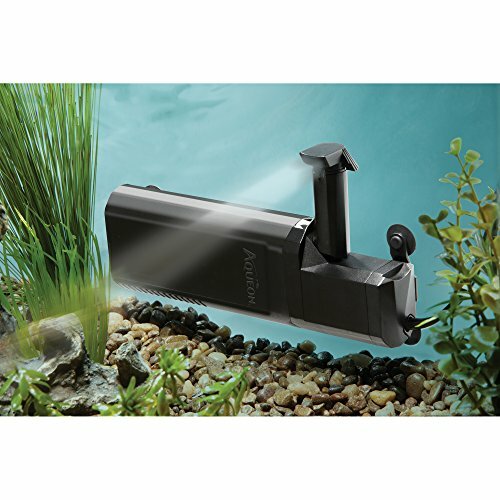 Made for keeping clean the tanks up to 10 gallons, the Tetra Whisper PF10 Power Filter, Quiet Three-Stage Filter is worth to try especially considering you’re not going to pay much for it either. The filter needs Medium Whisper Bio-Bag Cartridges that do a good job for maintaining your tank nice and clean for longer time. You actually get three filters in just one filter, that work together for keeping the water clean and the fish healthy. We like the filter as it has a low profile so it doesn’t take much space. The tube is easy to hide and the filter is subtle, yet efficient for keeping the tank crystal clear. Even though the water flow isn’t adjustable, the flow rate is pretty strong, explaining the efficiency of the filter. The filter is well made and seems to pass the durability test. It’s very easy to set it up and runs pretty quiet too. All in all, the filter is keeping the tank clean and nice and it’s money well spent, no matter how picky you are.